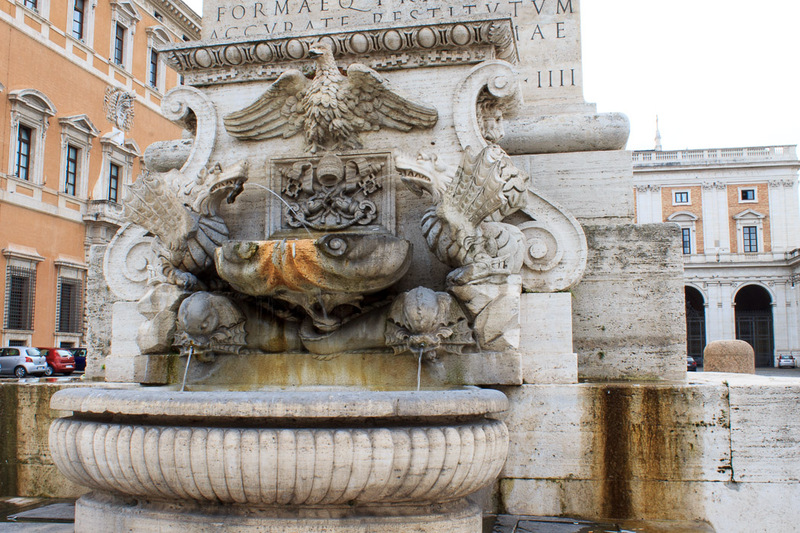 The Fountain in Piazza San Giovanni (The Lateran Fountain, Fontana Piazza San Giovanni, Fontana dell'obelisco Lateranense) can be found on the north side of the base of the Lateran Obelisk. 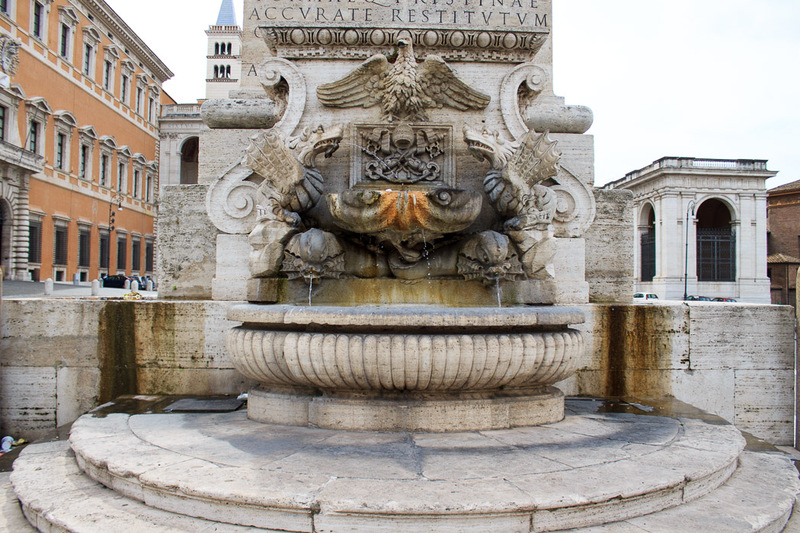 Completed in 1587, it's one of the richest fountains ever designed by Domenico Fontana. The fountain consists of a ribbed bowl topped by a pair of dolphins supporting a shell-shaped smaller bowl, which catches water jets from two winged dragons and an eagle. 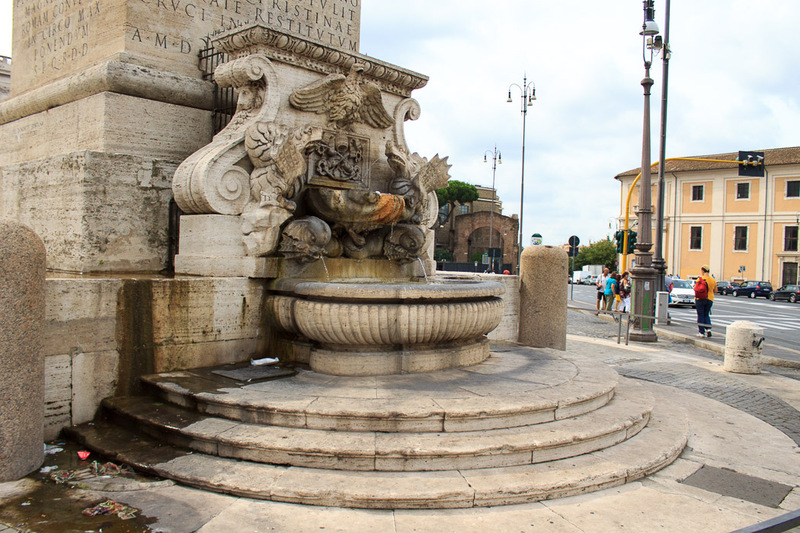 See all Fountain in Piazza San Giovanni photos. If you'd like to support my effort in creating this web page, or own a copy of this site in Kindle format for offline usage, please buy my ebook (it's cheap, I promise), or my other ebook, or buy a print.